Issue Date 1st March 1942. 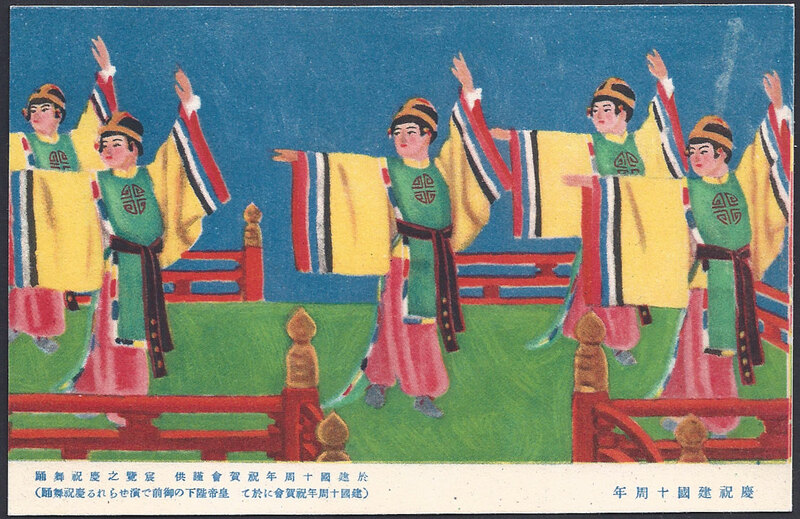 The Ministry of Transportation produced 2 postcards to commemorate the 10th Anniversary of the Founding of the State of Manchukuo, a landmark event for the new state. 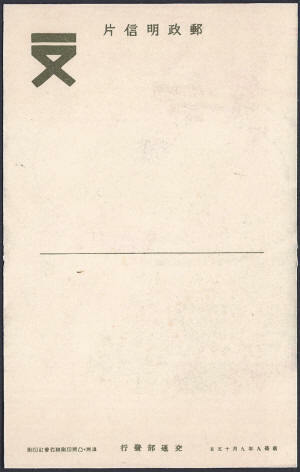 These went on sale through Post Offices on the 1st March 1942 and were supplied in a printed paper wrapper. 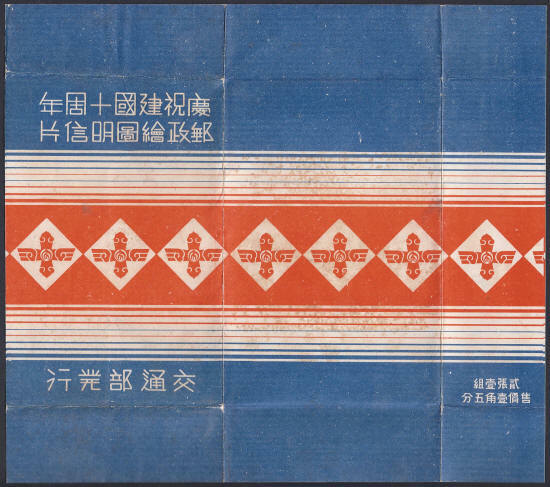 The wrapper shows the anniversary emblem in the shape of the cross shaped character meaning 10. 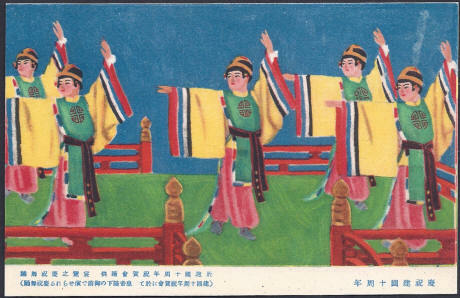 Five women dancing and wearing costumes with sleeves that reflected the flag of the nation. This is not five women reflecting the five different ethic origins of the region, this theme did not appear until September when the stamps showing an extract from "National Harmony" by the Japanese artist Saburo-suke Okada went on sale. The card was still on sale in September so it is common to find examples of this card with the "National Harmony" stamps. 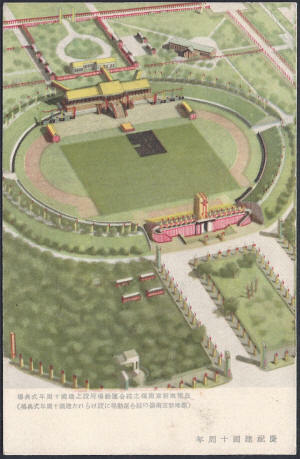 Left - the postcard shows a parade ground where the ceremonies for the anniversary took place, possibly in Daido Park, Hsinking. Right - the reverse side of the cards is the Post Office emblem.